Finally Photo Quiz 2 is here! Prepare for better challenges and new questions! How does it work? You will see four different images. Your task is to find out what those four images have in common. In other words - four clues but only one right answer! 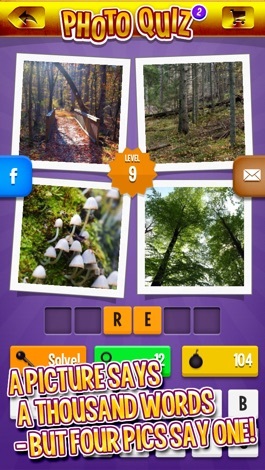 If you liked Photo Quiz you will love this new version! 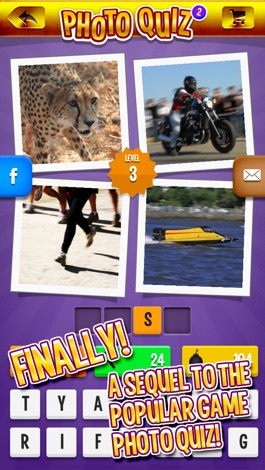 Photo Quiz 2 is completely free to try! Just tap the download button and start playing! 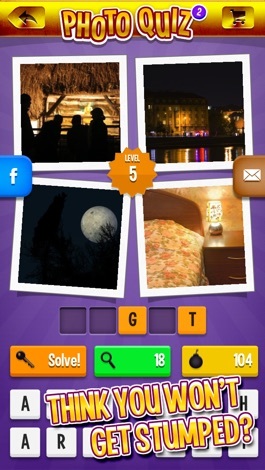 Photo Quiz 2 contains hundreds of new and challenging questions! Play for hours! Playing is super simple! 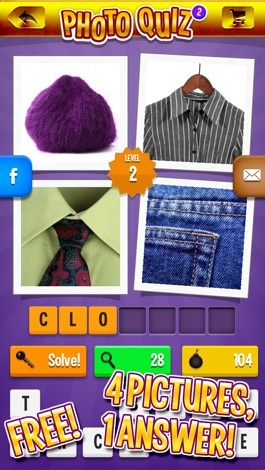 Have a look at the photos then take a guess! Spelling your answer is as easy as clicking on the letters you want to use. Are you stuck? No worries! You have several hint tools at your disposal. You can remove and reveal letters, or you can use the key to skip any question that’s too tricky! When you complete levels, you are awarded free hints that you can use later on in the game. If you need more hints, you can purchase them through the app. How many questions can you solve? 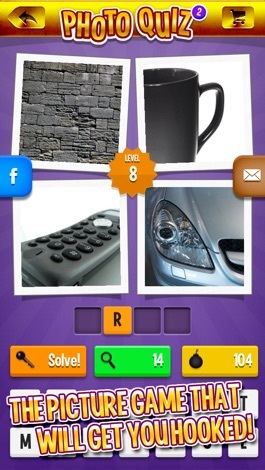 Find out now by downloading Photo Quiz 2 for FREE! The software expertise has custom-made for study drawing's child, many kinds of designs, many kinds of colors select the study to paint pictures for the child. Rovio's twist to Angry Birds, mixed with Amazing Alex gameplay. I was going to start this review with a joke about seeing a pig flying, but I preferred to give up and go ahead with the review of one of the most expected games ever. Hope you understand. Angry Birds games have reached such level of popularity and success that they are actually quite….